COIMBATORE: At month’s end, the busiest of all would be government schoolteachers. 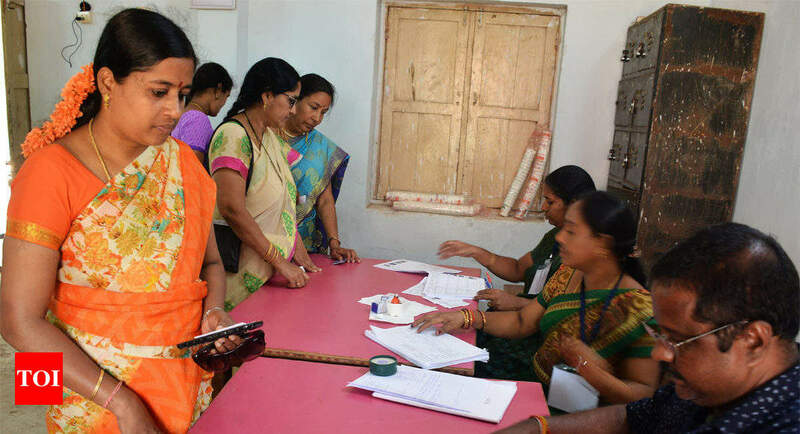 While the evaluation of the Class XII board exams, Class XI and Class X are lined up to begin from the month end, they also have to attend training sessions for election work and election duty subsequently. The election training sessions for teachers have been scheduled for four days March 31, April 7, 14 and 17. Meanwhile, the evaluation of board exam answer scripts is set to begin by the end of this month and go on in the first and second week of April. Teachers said while the Class X board exams would go on till March 29, earlier there was an election training session scheduled for March 24, a day before the mathematics exam, and after representations, it was postponed to March 31. “We would conduct revision sessions for weak students on the day before the exam and that would have been hit,” said a teacher. While the election training sessions have mostly scheduled for Sunday and would not affect the paper evaluation, it would surely be taxing for them. “While we have to finish the evaluation on time, the Sunday election classes would be an extra responsibility. But, we would carry it out as helping the electoral process is also important,” said a teacher. A section of teachers said that it would not be very burdensome as the number of examination papers have been reduced this year with just one language and one English paper. While the evaluations are scheduled to be completed before the elections, if there was carry over, they would finish it after April 19 as teachers who have been on election duty, would have to come back from the places they have been posted at, said a teacher.